This is a great day walk based in the Tasman National Park about an hour and a quarter out of Hobart. The objective is Cape Raoul at the southern tip of the peninsula and there are great views along most of the path, featuring some impressive coastline and rock formations. The cape itself feels quite isolated – apart from the birds and the sounds of waves it’s very quiet and secluded. For this walk, I used the track notes from “Day Walks Tasmania” by John and Monica Chapman which were useful and accurate. The path itself is well formed and reasonably easy to follow for the whole distance, in some places though it skirts very close to the cliff edge and there are no safety barriers so take care. It starts in farmland but soon gives way to bushland and then exposed coastal heath. Near the very end of the track at Cape Raoul the track splits – it’s worth following both branches to take in all the vantage points – the track to the right provides a bit more room to stop for a break or lunch (the one to the left ends rather abruptly at a cliff edge). From the cape it’s back the same way. Overall, another recommended Tassie walk. Another great walk in Sydney – an 8km ramble from the iconic Bondi Beach to Watsons Bay via some great parkland and coastline with tremendous views. The walk then follows the impressive coastline, dropping back to Military Rd on a couple of occasions where private property blocks the way along the coastline. On the second occasion, cross Military Rd into Dudley Page Park and take in the fine view of Sydney Harbour before leaving the park along some old steps in the north-east corner and then crossing back over Military Rd into Lancaster Road and soon rejoining the coastline. Immediately after Christison Park is Macquarie Lighthouse (first lighthouse in Australia). The lighthouse reserve is private property, but you can get a good look at the lighthouse from the path. From here it’s pretty much downhill through some pleasant remnants of bushland at Signal Hill Reserve to where the path again meets Military Road at the Gap. 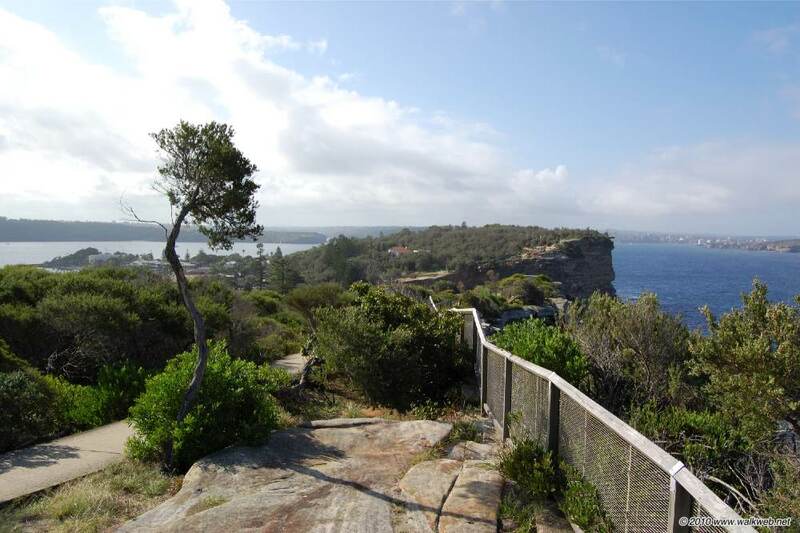 At this point you can catch a bus back to Dover Heights or the City, walk downhill through Robertsons Park to Watsons Bay and catch a ferry or have a beer at the pub, or if feeling energetic, enter The Gap Park and take the steepish clifftop path to a nice vantage point. All in all, I found this a very enjoyable walk on a warm Sydney afternoon – highly recommended. Map: Not required – see Google Map below for outline of route. Access: Bondi Beach can be accessed via bus from Circular Quay (routes 333 or 380), or train to Bondi Junction and then bus (routes X84, 333, 380, 381 or 382). If you want to start the walk at Raleigh reserve, bus no.380 is the one that continues along Military Road. This is also the bus that can be taken at the end of the walk to return to the CBD, but if you’re going back to Circular Quay, I’d recommend taking the ferry from Watsons Bay instead. This is a very enjoyable half day or so walk based in the Tasman National Park about an hour and a quarter out of Hobart. 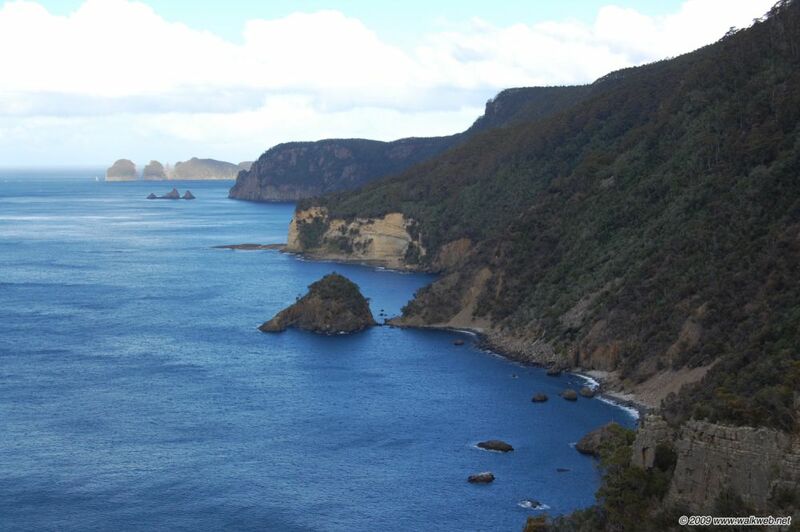 It takes in Tasmans Arch and Devils Kitchen as well as some spectacular coast line and great views. I used the track notes from “Day Walks Tasmania” by John and Monica Chapman. The first section between Tasmans Arch and Waterfall Bay is along an upgraded track with plenty of lookouts and suitable safety fencing. From Waterfalls Bay it becomes a more traditional bush track and skirts quite close to the cliff edge in places with no barriers. As such it is suited to more experienced and careful walkers although I’d still grade it as moderate only. The views along this section are great, particularly from Morleys Lookout (take care here, it’s a long drop down the cliffs) and Tatnells Hill. Well worth doing, the walk commences at the car park at either Tasmans Arch or Devils Kitchen (a couple of hundred metres apart) and is an out and back walk. Access from Hobart is via the A3 to Sorrell (the nearest town), then A9 towards Port Arthur and finally Blowhole Road (C338) to the aforementioned car parks.